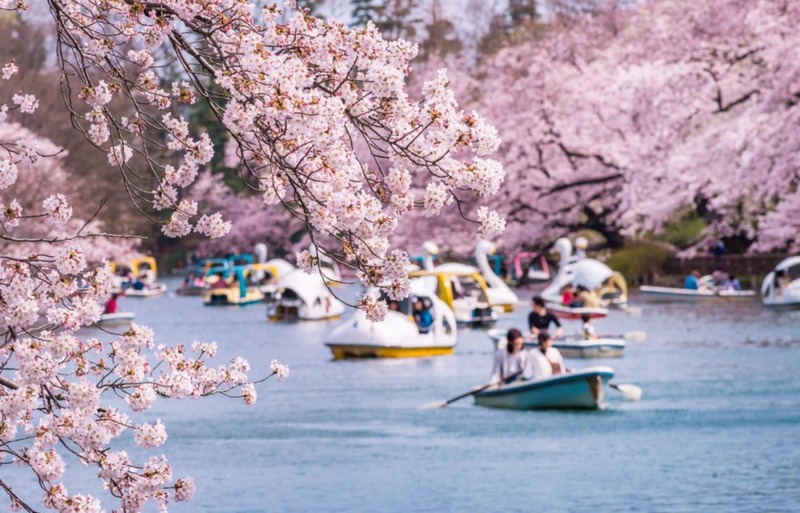 Inokashira Park is located in western Tokyo, and is one of the most popular areas for enjoying cherry blossoms in spring. In addition to the 200 or so cherry blossoms located within the park, visitors can enjoy boating on its idyllic pond. As expected, the park attracts the most visitors on weekends! So if you want to grab a prime spot, it's best to go early, or to save it for a weekday.